1 The elder unto the elect lady and her children, whom I love in the truth; and not I only, but also all they that have known the truth; 2 For the truth’s sake, which dwelleth in us, and shall be with us for ever. 3 Grace be with you, mercy, and peace, from God the Father, and from the Lord Jesus Christ, the Son of the Father, in truth and love. 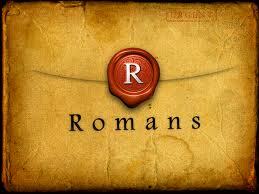 4 I rejoiced greatly that I found of thy children walking in truth, as we have received a commandment from the Father. 5 And now I beseech thee, lady, not as though I wrote a new commandment unto thee, but that which we had from the beginning, that we love one another. 6 And this is love, that we walk after his commandments. This is the commandment, That, as ye have heard from the beginning, ye should walk in it. 7 For many deceivers are entered into the world, who confess not that Jesus Christ is come in the flesh. This is a deceiver and an antichrist. 8 Look to yourselves, that we lose not those things which we have wrought , but that we receive a full reward. 9 Whosoever transgresseth , and abideth not in the doctrine of Christ, hath not God. 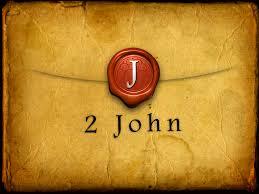 He that abideth in the doctrine of Christ, he hath both the Father and the Son. 10 If there come any unto you, and bring not this doctrine, receive him not into your house, neither bid him God speed : 11 For he that biddeth him God speed is partaker of his evil deeds. 12 Having many things to write unto you, I would not write with paper and ink: but I trust to come unto you, and speak face to face, that our joy may be full . 13 The children of thy elect sister greet thee. Amen. 1 Behold , what manner of love the Father hath bestowed upon us, that we should be called the sons of God: therefore the world knoweth us not, because it knew him not. 2 Beloved, now are we the sons of God, and it doth not yet appear what we shall be : but we know that, when he shall appear , we shall be like him; for we shall see him as he is . 3 And every man that hath this hope in him purifieth himself, even as he is pure. 4 Whosoever committeth sin transgresseth also the law: for sin is the transgression of the law. 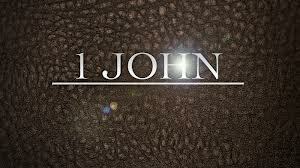 5 And ye know that he was manifested to take away our sins; and in him is no sin. 6 Whosoever abideth in him sinneth not: whosoever sinneth hath not seen him, neither known him. 7 Little children, let no man deceive you: he that doeth righteousness is righteous, even as he is righteous. 8 He that committeth sin is of the devil; for the devil sinneth from the beginning. For this purpose the Son of God was manifested , that he might destroy the works of the devil. 9 Whosoever is born of God doth not commit sin; for his seed remaineth in him: and he cannot sin , because he is born of God. 10 In this the children of God are manifest, and the children of the devil: whosoever doeth not righteousness is not of God, neither he that loveth not his brother. 11 For this is the message that ye heard from the beginning, that we should love one another. 12 Not as Cain, who was of that wicked one, and slew his brother. And wherefore slew he him? Because his own works were evil, and his brother’s righteous. 13 Marvel not, my brethren, if the world hate you. 14 We know that we have passed from death unto life, because we love the brethren. He that loveth not his brother abideth in death. 15 Whosoever hateth his brother is a murderer: and ye know that no murderer hath eternal life abiding in him. 16 Hereby perceive we the love of God, because he laid down his life for us: and we ought to lay down our lives for the brethren. 17 But whoso hath this world’s good, and seeth his brother have need, and shutteth up his bowels of compassion from him, how dwelleth the love of God in him? 18 My little children, let us not love in word, neither in tongue; but in deed and in truth. 19 And hereby we know that we are of the truth, and shall assure our hearts before him. 20 For if our heart condemn us , God is greater than our heart, and knoweth all things. 21 Beloved, if our heart condemn us not, then have we confidence toward God. 22 And whatsoever we ask , we receive of him, because we keep his commandments, and do those things that are pleasing in his sight. 23 And this is his commandment, That we should believe on the name of his Son Jesus Christ, and love one another, as he gave us commandment. 24 And he that keepeth his commandments dwelleth in him, and he in him. And hereby we know that he abideth in us, by the Spirit which he hath given us.